The main undercoat finish on most vehicles can be black or gray. It’s often a very porous material when it goes on. It is then sanded down to make sure that the paint can adhere to it properly and to preserve the finish of your vehicle. If there are areas where your primer has been damaged, we can log these spots. We will let you know where you may need a respray or body work. The first layer of paint that sits on top of the primer. and it can often come with noticeable blemishes when extra moisture is let in. Manufacturers would usually apply two coats to get the ideal protection and shine. We only use products that can preserve the color and finish of these coats. They prevent damage/moisture wear on your base coats. Clear coats protect your paint from damage by the sun’s UV rays. This coat is usually produced with polyurethane or urethane in a high-gloss sheen. With this type of coat, you can have a shine that can be properly maintained over years with your vehicle. We only use proven cleaners and soft applicators. This is to make sure that your clear coat stays preserved during mobile detailing in St Pete. A paint correction from a mobile detailing company consists of buffing out the clear coat to remove any scratches or surface blemishes. In certain types of paint there can also be specialty acrylic lacquers. These lacquers produce an even greater shine. We want to make sure that we can preserve this layer and only use approved products with specialty paint. 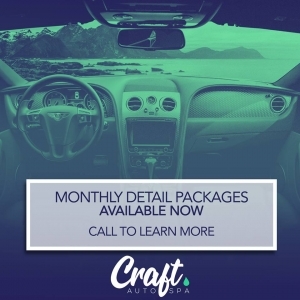 Contact us for the best in mobile detailing and paint correction throughout St. Pete.